I have been informed by a respected Literary Agent that editors with major book publishers don’t wish to see anything from authors that is written from more than a single point of view or attempts to render a narrative in anything other than the third person “literary” past tense. I am not sure how “literary” the simple past tense actually is, but I presume this current editorial fad is in deference to what the East Coast literati condescend to regard as the limited reading abilities of the average modern reader. One wonders how the works of such writers as Mark Twain, Ambrose Bierce, Herman Melville or Joseph Conrad would have fared at the hands of such editors—assuming these miserable hack writers would even have gotten an agent to handle their writing. 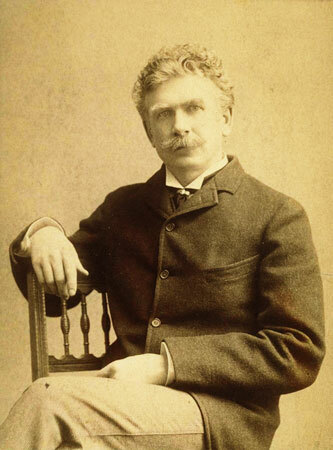 Ambrose Bierce as he looked during the Civil War when he first visited Nashville. As a journeyman scrivener I must bow to their superior wisdom or remain unpublished. But in the expectation that your reading tastes are somewhat better than what modern editing trends assume, I present a tale of Southern ghosts by a master of sardonic horror—Ambrose Bierce. Bierce is best known for his biting satire and his macabre Civil War Tales filled with deadly ironies. Yet Bierce also wrote quite a bit about the South, even though he is not considered a Southern author by any means. He survived four years of the “blood-stained period” tramping all about the South, including Nashville, and continuing on well after the war the shadow of death lingered on in his mind, spilling out onto the pages of his short stories. This is not a tale of the Civil War, but it does take place in Nashville, a city he knew quite well during the war. I think we may safely class it as a choice piece of Southern Gothic, even if it was written by a Yankee. In honor of Bierce, Dixie and Halloween, therefore, I reprint this, one of Bierce’s best ghost stories. The story, The Moonlit Road, is a classic tale of Southern Gothic, so much so that it has even spawned a modern Atlanta-based website dedicated to Southern horror that was inspired by it. If you are a Bierce devotee, forgive me, for doubtless you have read it before; but it is worth re-reading nonetheless. I fear it would be rejected out of hand by most modern trade editors, for it relates the story from multiple points of view. But if Bierce’s narrative technique was good enough for filmmaker Akira Kurosawa, I trust you may find it equally edifying as well. I am the most unfortunate of men. Rich, respected, fairly well educated and of sound health–with many other advantages usually valued by those having them and coveted by those who have them not—I sometimes think that I should be less unhappy if they had been denied me, for then the contrast between my outer and my inner life would not be continually demanding a painful attention. In the stress of privation and the need of effort I might sometimes forget the somber secret ever baffling the conjecture that it compels. park of trees and shrubbery. My father had gone to Nashville, intending to return the next afternoon. Something prevented his accomplishing the business in hand, so he returned on the same night, arriving just before the dawn. In his testimony before the coroner he explained that having no latchkey and not caring to disturb the sleeping servants, he had, with no clearly defined intention, gone round to the rear of the house. As he turned an angle of the building, he heard a sound as of a door gently closed, and saw in the darkness, indistinctly, the figure of a man, which instantly disappeared among the trees of the lawn. A hasty pursuit and brief search of the grounds in the belief that the trespasser was some one secretly visiting a servant proving fruitless, he entered at the unlocked door and mounted the stairs to my mother’s chamber. Its door was open, and stepping into black darkness he fell headlong over some heavy object on the floor. I may spare myself the details; it was my poor mother, dead of strangulation by human hands! Nothing had been taken from the house, the servants had heard no sound, and excepting those terrible finger-marks upon the dead woman’s throat–dear God! that I might forget them!–no trace of the assassin was ever found. which is balm for every wound. Ah, that I might again dwell in that enchanted land! Unacquainted with grief, I knew not how to appraise my bereavement; I could not rightly estimate the strength of the stroke. “I hear nothing,” I replied. He had released my arm and was standing rigid and motionless in the center of the illuminated roadway, staring like one bereft of sense. His face in the moonlight showed a pallor and fixity inexpressibly distressing. I pulled gently at his sleeve, but he had forgotten my existence. Presently he began to retire backward, step by step, never for an instant removing his eyes from what he saw, or thought he saw. I turned half round to follow, but stood irresolute. I do not recall any feeling of fear, unless a sudden chill was its physical manifestation. It seemed as if an icy wind had touched my face and enfolded my body from head to foot; I could feel the stir of it in my hair. To-day I am said to live; to-morrow, here in this room, will lie a senseless shape of clay that all too long was I. If anyone lift the cloth from the face of that unpleasant thing it will be in gratification of a mere morbid curiosity. Some, doubtless, will go further and inquire, “Who was he?” In this writing I supply the only answer that I am able to make–Caspar Grattan. Surely, that should be enough. The name has served my small need for more than twenty years of a life of unknown length. True, I gave it to myself, but lacking another I had the right. In this world one must have a name; it prevents confusion, even when it does not establish identity. Some, though, are known by numbers, which also seem inadequate distinctions. One day, for illustration, I was passing along a street of a city, far from here, when I met two men in uniform, one of whom, half pausing and looking curiously into my face, said to his companion, “That man looks like 767.” Something in the number seemed familiar and horrible. Moved by an uncontrollable impulse, I sprang into a side street and ran until I fell exhausted in a country lane. I have never forgotten that number, and always it comes to memory attended by gibbering obscenity, peals of joyless laughter, the clang of iron doors. So I say a name, even if self-bestowed, is better than a number. In the register of the potter’s field I shall soon have both. What wealth! upon a thread, others remote and strange, having the character of crimson dreams with interspaces blank and black–witch-fires glowing still and red in a great desolation. Backward beyond the beginning of this via dolorosa–this epic of suffering with episodes of sin–I see nothing clearly; it comes out of a cloud. I know that it spans only twenty years, yet I am an old man. The next day I entered a large town which I shall not name. Nor shall I recount further incidents of the life that is now to end—a life of wandering, always and everywhere haunted by an overmastering sense of crime in punishment of wrong and of terror in punishment of crime. Let me see if I can reduce it to narrative. vanished without even the bad luck of identification. Sometimes now I cannot even persuade myself that it was a human being. despite the black darkness soon stood by the side of her bed. My groping hands told me that although disarranged it was unoccupied. Now I am calm, but truly there is no more to tell: the incident ends where it began–in darkness and in doubt. Yes, I am again in control of myself: “the captain of my soul.” But that is not respite; it is another stage and phase of expiation. My penance, constant in degree, is mutable in kind: one of its variants is tranquillity. After all, it is only a life-sentence. “To Hell for life”–that is a foolish penalty: the culprit chooses the duration of his punishment. To-day my term expires. I had retired early and fallen almost immediately into a peaceful sleep, from which I awoke with that indefinable sense of peril which is, I think, a common experience in that other, earlier life. Of its unmeaning character, too, I was entirely persuaded, yet that did not banish it. 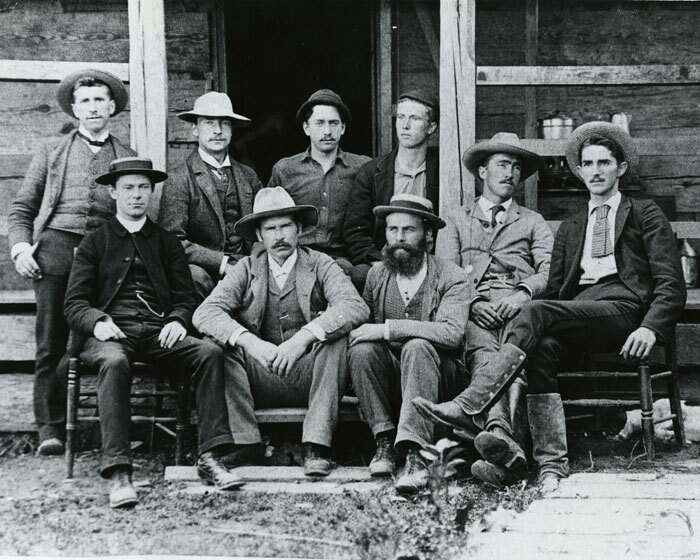 My husband, Joel Hetman, was away from home; the servants slept in another part of the house. But these were familiar conditions; they had never before distressed me. Nevertheless, the strange terror grew so insupportable that conquering my reluctance to move I sat up and lit the lamp at my bedside. Contrary to my expectation this gave me no relief; the light seemed rather an added danger, for I reflected that it would shine out under the door, disclosing my presence to whatever evil thing might lurk outside. You that are still in the flesh, subject to horrors of the imagination, think what a monstrous fear that must be which seeks in darkness security from malevolent existences of the night. That is to spring to close quarters with an unseen enemy–the strategy of despair! Extinguishing the lamp I pulled the bed-clothing about my head and lay trembling and silent, unable to shriek, forgetful to pray. In this pitiable state I must have lain for what you call hours–with us there are no hours, there is no time. we are seen by those whom we would warn, console, or punish. What form we seem to them to bear we know not; we know only that we terrify even those whom we most wish to comfort, and from whom we most crave tenderness and sympathy. Forgive, I pray you, this inconsequent digression by what was once a woman. You who consult us in this imperfect way–you do not understand. You ask foolish questions about things unknown and things forbidden. Much that we know and could impart in our speech is meaningless in yours. We must communicate with you through a stammering intelligence in that small fraction of our language that you yourselves can speak. You think that we are of another world. No, we have knowledge of no world but yours, though for us it holds no sunlight, no warmth, no music, no laughter, no song of birds, nor any companionship. O God! what a thing it is to be a ghost, cowering and shivering in an altered world, a prey to apprehension and despair! No, I did not die of fright: the Thing turned and went away. 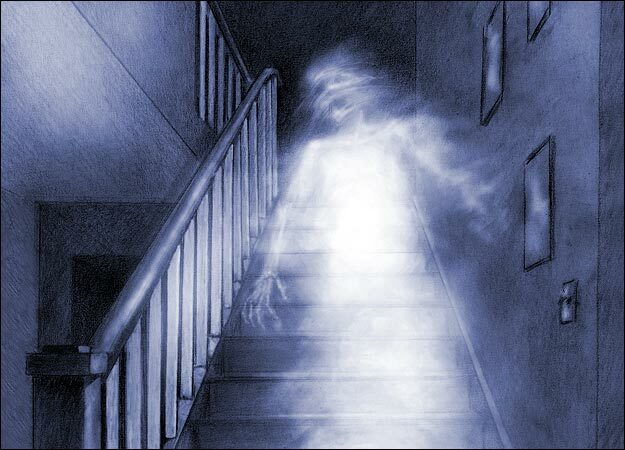 I heard it go down the stairs, hurriedly, I thought, as if itself in sudden fear. Then I rose to call for help. Hardly had my shaking hand found the doorknob when–merciful heaven!–I heard it returning. Its footfalls as it remounted the stairs were rapid, heavy and loud; they shook the house. I fled to an angle of the wall and crouched upon the floor. I tried to pray. I tried to call the name of my dear husband. Then I heard the door thrown open. There was an interval of unconsciousness, and when I revived I felt a strangling clutch upon my throat–felt my arms feebly beating against something that bore me backward–felt my tongue thrusting itself from between my teeth! And then I passed into this life. On this night I had searched for them without success, fearing to find them; they were nowhere in the house, nor about the moonlit lawn. For, although the sun is lost to us forever, the moon, full-orbed or slender, remains to us. Sometimes it shines by night, sometimes by day, but always it rises and sets, as in that other life. I left the lawn and moved in the white light and silence along the road, aimless and sorrowing. Suddenly I heard the voice of my poor husband in exclamations of astonishment, with that of my son in reassurance and dissuasion; and there by the shadow of a group of trees they stood–near, so near! Their faces were toward me, the eyes of the elder man fixed upon mine. He saw me–at last, at last, he saw me! In the consciousness of that, my terror fled as a cruel dream. The death-spell was broken: Love had conquered Law! Mad with exultation I shouted–I MUST have shouted, “He sees, he sees: he will understand!” Then, controlling myself, I moved forward, smiling and consciously beautiful, to offer myself to his arms, to comfort him with endearments, and, with my son’s hand in mine, to speak words that should restore the broken bonds between the living and the dead. Alas! alas! his face went white with fear, his eyes were as those of a hunted animal. He backed away from me, as I advanced, and at last turned and fled into the wood–whither, it is not given to me to know. To my poor boy, left doubly desolate, I have never been able to impart a sense of my presence. Soon he, too, must pass to this Life Invisible and be lost to me forever. For true ghost stories of Nashville and the Mid-South, see Strange Tales of the Dark and Bloody Ground and Ghosts and Haunts of Tennessee. 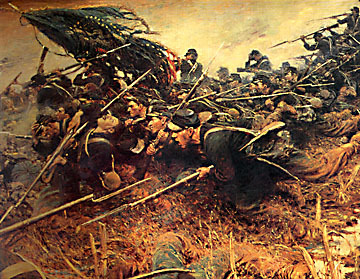 Ambrose Bierce and the Period of Honorable Strife, the coming of age of an American author during the Civil War. Magnolia Manor, a cozy B&B in West Tennessee that is seriously haunted. 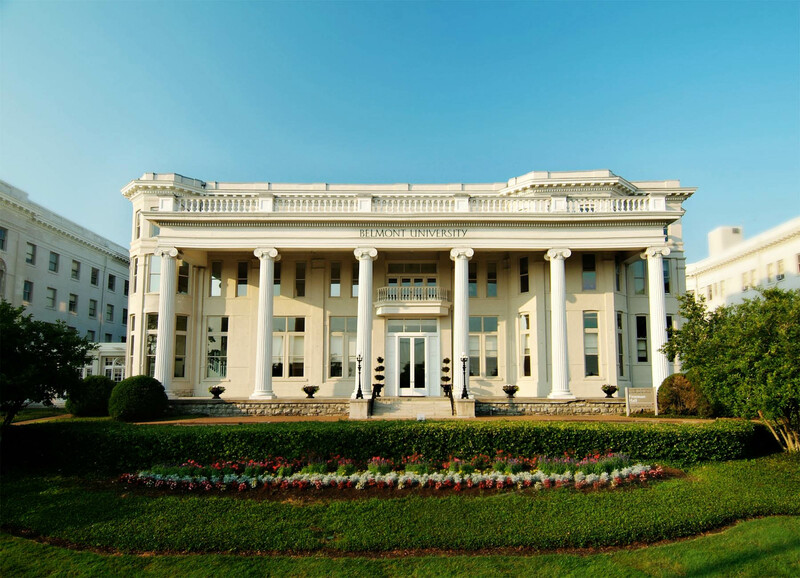 Between Memphis and Jackson, Tennessee, lies the scenic West Tennessee city of Bolivar. To the casual visitor it is a placid and serene city, filled with friendly folk where nothing untoward ever occurs. Beneath the idyllic surface of Bolivar, however, flows an undertow of supernatural strangeness. 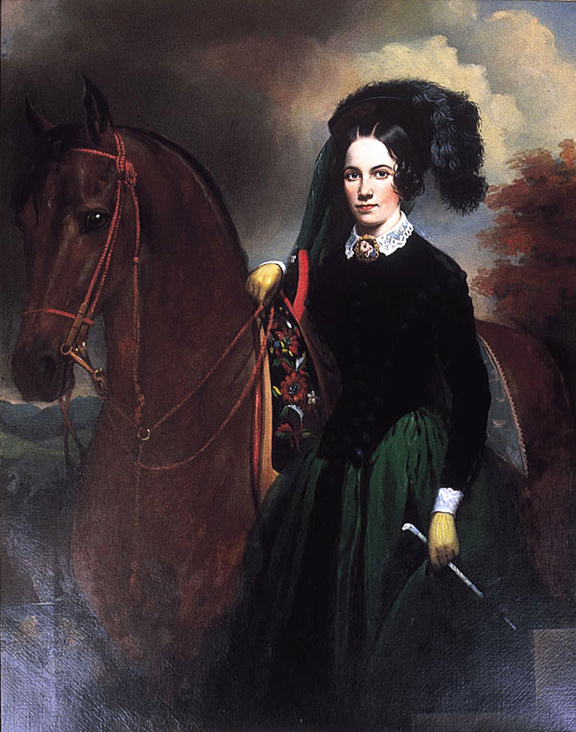 While Bolivar may not be a big bustling metropolis like Memphis, Knoxville or Nashville, where it excels those towns is in the density and intensity of paranormal phenomena there per haunted hectare. The haunted rocking chair on the front porch of Wren’s Nest, Uncle Dave Parran’s old home. Perhaps the most famous and most beloved apparition in Bolivar must certainly be “Uncle Dave.” In life, Uncle Cave Parran was a daily sight at his place of business in the quaint town square. But where Uncle Dave was most seen was on the front porch of his home, Wren’s Nest, rocking back and forth on his old rocking chair. He would wave and say hello and engage in conversation all who passed by. Everyone in Bolivar knew and loved Uncle Dave till the day he died at age 86. Then something strange happened; Uncle Dave refused to leave Wren’s Nest even in death. Some folk have even claimed to see him on the front porch; mostly, though, the rocking chair just rocks back and forth on its own, as if some invisible soul still occupies it. 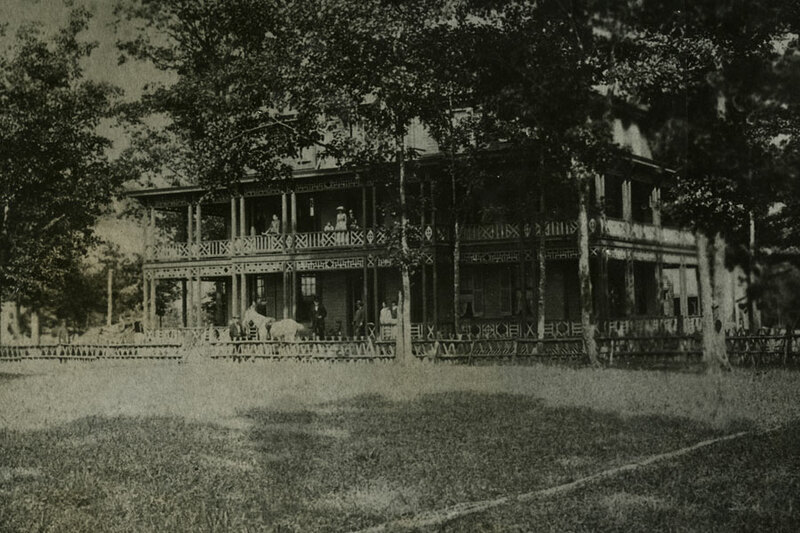 Old photo of McNeal Place. Haunted then; haunted now. 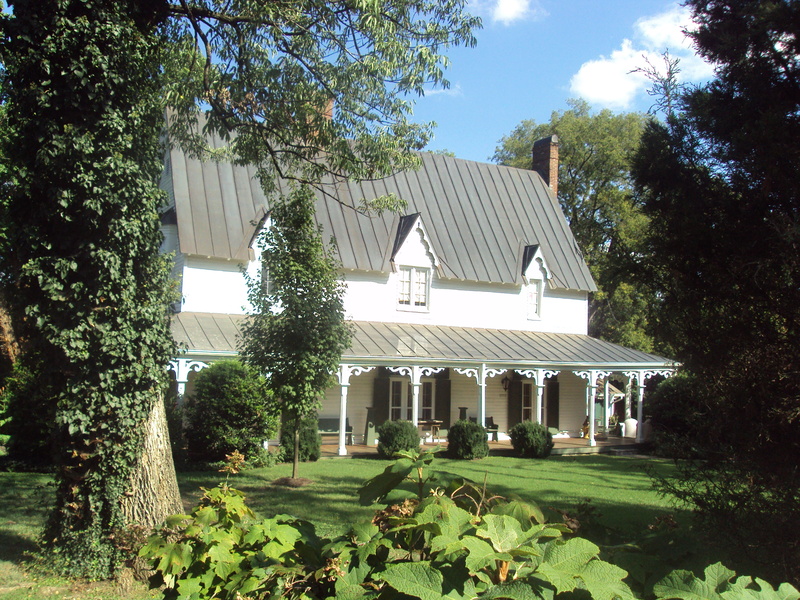 Not far from Wren’s Nest sits the majestic McNeal Place. Though both are haunted, both buildings and hauntings are like night and day. Uncle Dave’s home is a comfy homespun old home; McNeal Place is more like a Renaissance Villa. While Uncle Dave is about as congenial a haunt as one could wish for, the restless spirit of McNeal Place is doleful and sad and often visits the graveyard where her young daughter was lain to rest. Griefs know no boundary—not even the boundary of death. But some who know more about the spirits of McNeal Place than I would argue that the old manse is not a morbid place but one filled with “glamor, hardship, romance and secrets.” At least some of the ghosts that reside there are not sad: one person who knows the place well avers that “Miss Polk is a funny little monkey of a spirit. She can and will scare the soles off your shoes. I was just one who “got ” her. 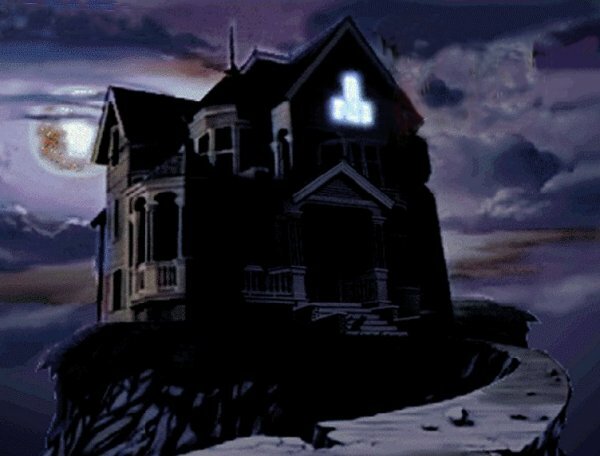 I was a bit shocked at first encounter, then I just smiled and I felt her wink back.” Several spirits are reported to “run amuck” inside; but then it’s their residence–not ours! 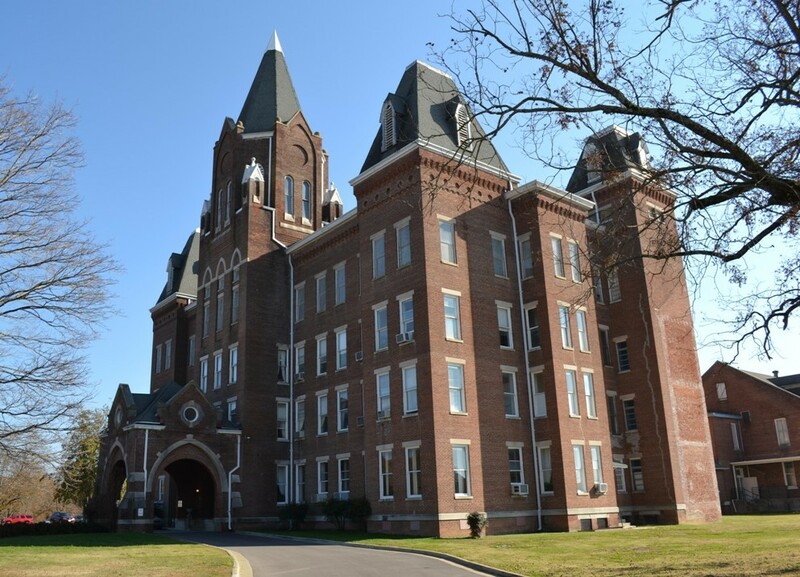 Western State Mental Hospital, now the Western Mental Health Institute in Bolivar is a most seriously haunted spot. Less accessible than these haunts are the ghosts which inhabit Western Mental Health Institute. 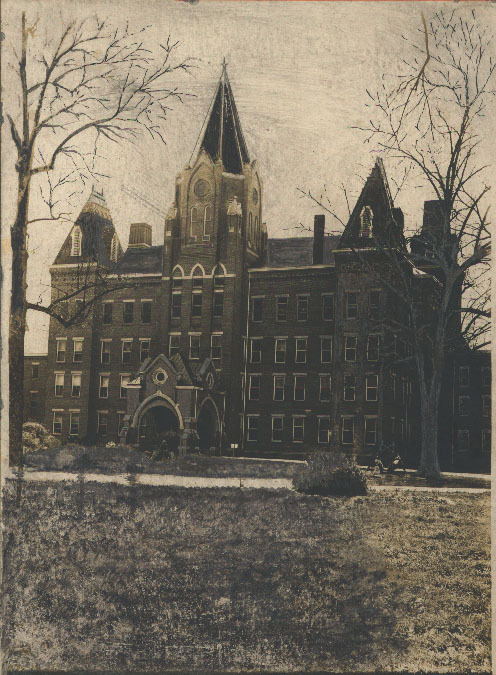 While these days large prison-like insane asylums are ill favored, in its heyday WMHI was jam packed, not only with the legitimately insane, but with persons whom today we would call rebellious, lascivious or unconventional. Lobotomies, shock therapy, chaining and medieval like torture were the rule of the day. Old asylums were a literal chamber of horrors. Many people died from such treatment and some of their spirits abide in WMHI and other old institutions. Today mental health is more enlightened and Western has far fewer inmates than once it held. Present and former staff and patients alike testify to the ghosts who actively haunt its grounds, but wannabe ghost-busters are advised not to investigate on their own. The old hospital itself is closed to the public and while the local ghosts may not bother you, the local constabulary most certainly will. West Tennessee Mental Health Institute as it looks today. The patients are fewer but the ghosts are not. If you wish to get up close and personal with the dearly departed, you would be well advised to spend a weekend at Magnolia Manor. An elegant antebellum home converted to a comfortable bed and breakfast it has beautiful antiques in each room—and a gaggle of ghosts to go along with them. The central staircase of Magnolia Manor, where Sherman slashed the railing in a fit of anger. Numerous ghosts haunt the building. 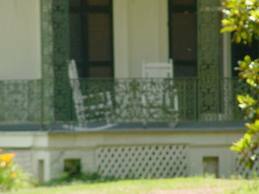 During the Civil War, Generals Grant and Sherman stayed at Magnolia Manor there are many tales to be told of the Yankee occupation. In the years since the Late Unpleasantness, a host of ghosts have accumulated within its walls and on the surrounding grounds. Contrary to the pseudo-spooky hooey you see on TV these days, there is little to fear from the ghosts which haunt most houses and certainly those at Magnolia Manor are no different. Consider it from the ghost’s perspective: they are the permanent residents—you are the intruder. But they are hospitable haints and if you don’t bother them–or go shouting at them like some damn fools on television like to do–then they probably will not unduly disturb you! Happy Halloween! The Ghosts of Tennessee say BOO! 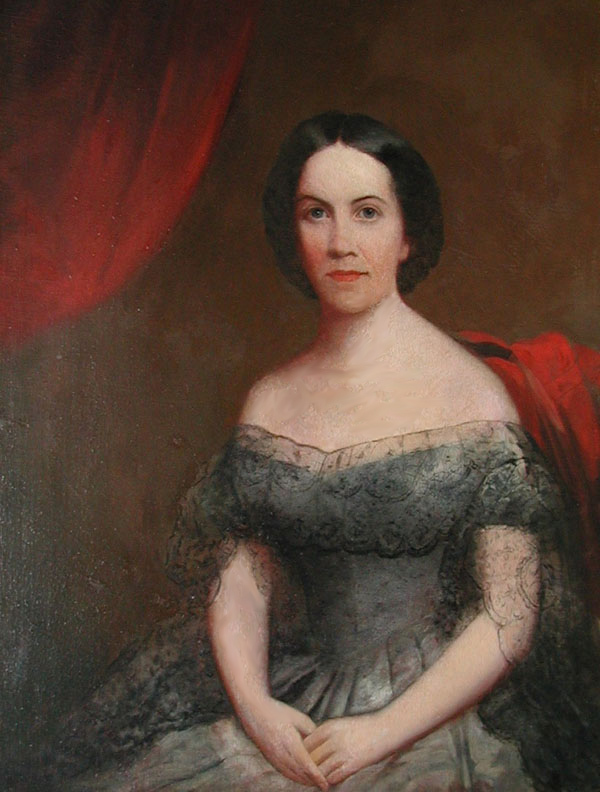 For more about the ghosts of Magnolia Manor and Bolivar, see Chapter 26 of Ghosts and Haunts of Tennessee. And have a Happy Halloween! First off, let me reassure folks who go to Rugby: despite the title of this essay, there are no ghouls in Rugby, Tennessee, none. No flesh-eating beings of any sort–at least not any I know of–reside there. That out of the way, let me assure all those in search of a paranormal encounter, there is a gaggle of ghosts that inhabit the place, more per square mile than any town I know of. So, while I can’t guarantee a ghostly good time, your chances are better here than anywhere. As I chronicle in Strange Tales of the Dark and Bloody Ground, this quaint rural village has been called “The Most Haunted Town in America.” It may, in fact, be the most haunted town in the world, although proving either assertion would be difficult, since the census bureau does not keep record of such things. Early settlers of Rugby. The indolent sons of English nobility largely found Hushes’ work ethic uncongenial and soon left Rugby. The middle class Englishmen who settled there, who did not mind honest labor, stayed on and their descendants reside there still. Rugby,Tennessee, is located high in the Cumberland Mountains, a wild and scenic area that while by no means backward, has not been subject to the massive influx of commercialism and corporate tourist development that the equally scenic Smoky Mountains have. The Cumberlands are located between Nashville and Knoxville: to go from one to the ‘tuther, one passes through this area; travelers rarely stay there for their vacation, however, and mostly just pause in the region long enough for a lunch or brunch at one of the many restaurants and rest stops just off the interstate. This is a pity, since they are missing quite a lot; untrammeled wilderness, scenic heights, clean air and not a few frights and sights at Rugby. To give an idea of the difference between the two mountain regions of Tennessee, in the summer when one goes fishing in a beautiful mountain stream in the Smokies, one is generally doing so with dozens of other fishermen, all elbow to elbow enjoying the same stream. When you go fly fishing in the Cumberlands, you can cast your reel without worrying about snagging another anglers fishing hat in the process. In all likelihood, the only being within sight of you also fishing is the occasional black or brown bear–or maybe the rare Bigfoot (otherwise known as the Tennessee Stink Ape). So while Rugby is not hard to get to, being about an hour and spare change from downtown Nashville and a similar distance from Knoxville, it is not a heavily traveled spot, which suits the ghosts just fine. In this brief review of the spirits of Rugby, we can but hit the highlights. 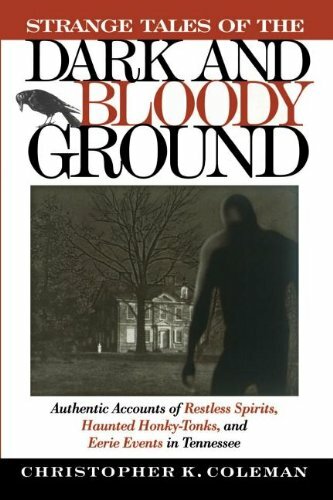 I have covered the subject in greater depth in Chapter 2 of Strange Tales of the Dark and Bloody Ground. To recap from my chapter on the town, Rugby was founded by Thomas Hughes, the novelist famous for Tom Brown’s School Days. 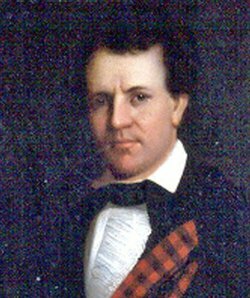 Hughes, who actually attended the English “public school” (in the US we call them private schools) named Rugby, was a high minded sort and his intent was to found a town to provide a haven and gainful employment for the younger sons of titled English nobility. In Victorian England, the family wealth and title of an aristocratic family went to the eldest brother, leaving his siblings dependent on handouts from the family patriarch; on the other hand they were prohibited by strict English social custom from seeking gainful employment on their own. So, with little to do except mooch off their eldest brother, these younger sons often whiled away their days drinking, gambling and whoring and hoping big brother would kick the bucket some time soon. Hughes thought to provide in America a place where they could learn a trade and be productive members of society, so he funded the construction of this little Victorian English village in the Southern highlands. Unfortunately, while the village of Rugby perfectly served Hughes’ purpose, it turned out that the younger sons of English nobility actually preferred to drink, gamble and go wenching instead of soiling their soft hands with any sort of gainful employment. 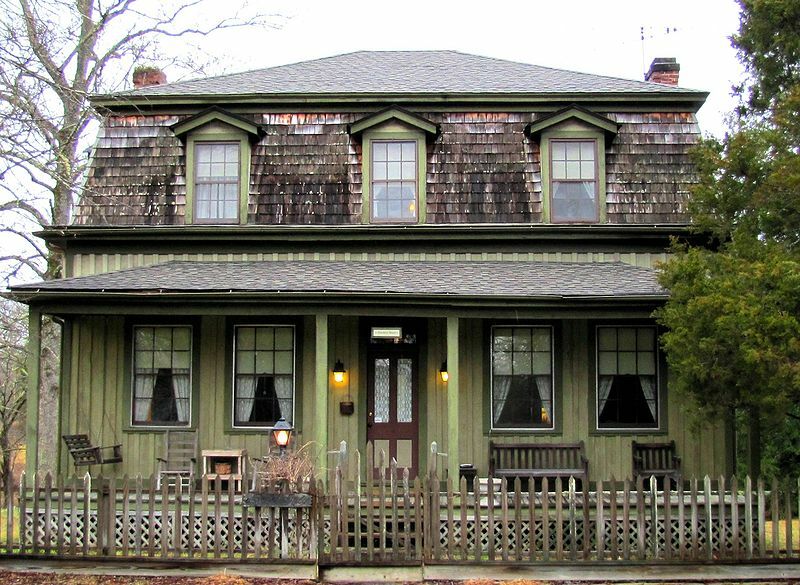 What this late nineteenth century social experiment left behind was a village of quaint and beautiful Victorian homes and a number of mostly English ghosts in the heart of Dixie. 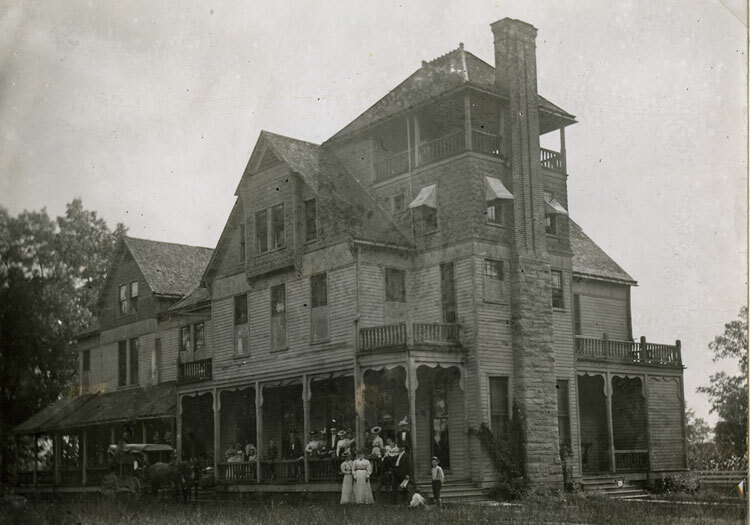 The first Tabard Inn, which burned under mysterious circumstances on Halloween, 1884. One of the most famous haunts was the Tabard Inn, where a murder most foul took place in Room 13. 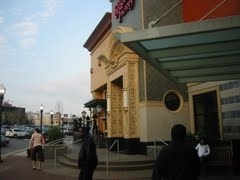 Alas, one can not stay here, as the building went up in flames some years back. But I talked with Rugby Executive Director, Barbara Staggs, soon after Strange Tales was published, and she had interviewed eyewitnesses who testified that as the building burned, they could hear screams coming from the vacant Room 13. Some locals believed it was the ghost that haunted the hotel who set the fire herself. The second Tabard Inn, scene of a grisly murder, burned under even more eerie circumstances and was not rebuilt. Much of the Victorian furniture from the second hotel was salvaged from the fire however, and repurposed to homes throughout the town. 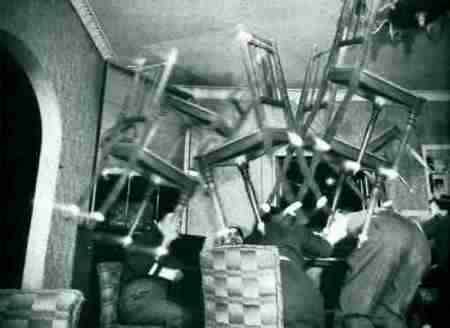 Some say cursed furniture was the cause of supernatural phenomena spreading throughout the rest of the town. Others in Rugby disagree on this; but no one doubts that as towns go, Rugby has more haunts per capita than any other town in America. More fortunate in its fate was Newbury House. Its owner was an English gentleman of high esteem but low birth who found the town quite congenial and sent for his family from England. Sadly, he died before they came and now his ghost resides in Newbury House, still waiting for them to arrive. The Newbury House in Rugby, home to its own resident ghost. Then there is the old Victorian library, which looks for all the world like something out of Harry Potter–if Harry was a book nerd. It has signed copies of Charles Dickens’ novels. No gnarly ghost of Jacob Marley though. 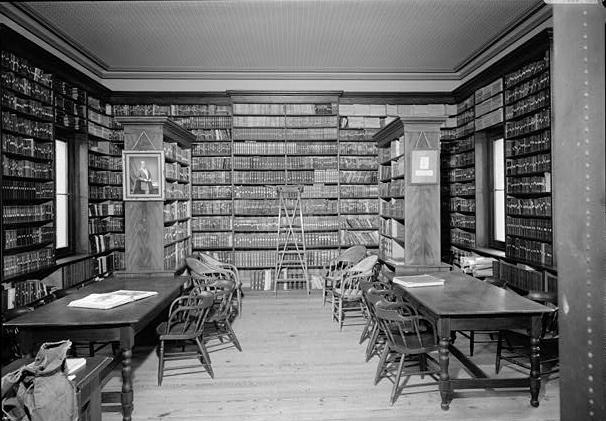 Some call it the “Rip Van Winckle” library, because it seems as though when one enters it, one has entered a sort of time warp. Although there is a phantom librarian reported present there, its presence is mostly unseen. You, however, may have a different experience when you visit. The old Victorian Library is thought to be presided over by the unseen ghost of a former librarian. Its presence is more felt than seen. Ssssh! 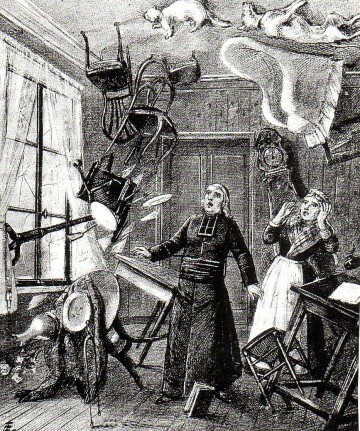 There are a number of homes in the town with ghosts, some more active than others and over the years eyewitnesses have reported encounters with them all. 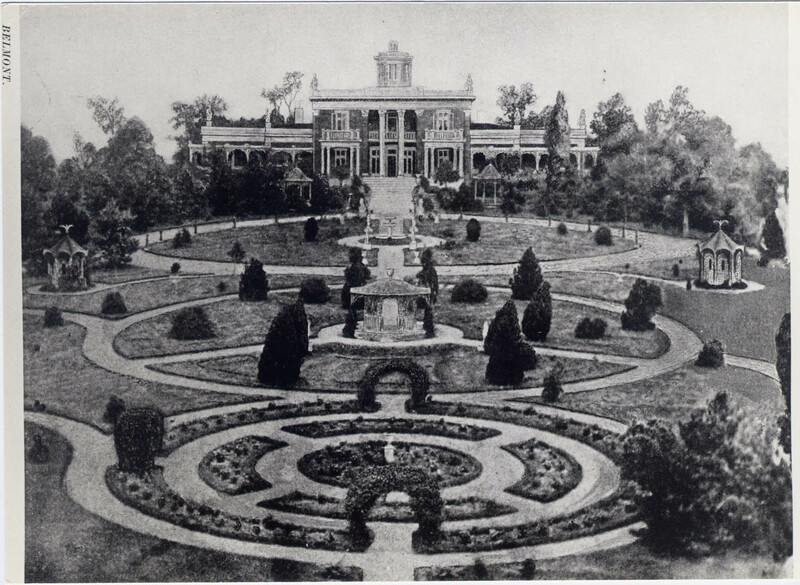 There is Kingston Lisle, Thomas Hughes’ sometime residence; there is Roslyn, a two story mansion with several spirits, including the wild carriage driver who thunders up to the front door in a black carriage and the tale of the “weeping girl” in the front yard. Then too, there is Twin Oaks, allegedly once home to a witch, although whether she was simply what the Irish call a “Wise Woman,” knowledgeable about healing herbs and such, or of the more wicked sort, we know not. Appalachia has had its fair share of both sorts. Again, for more in depth accounts of Rugby’s many ghosts one is better off consulting the chapter in Strange Tales. Then after reading, you will be armed with enough knowledge to tackle Rugby for yourself. The living residents are friendly and helpful to visitors and the spectral residents are mostly harmless—even if the occasional encounter with them is a bit startling. By all means, if you visit Dixie in your travels, Rugby is worth the trip. 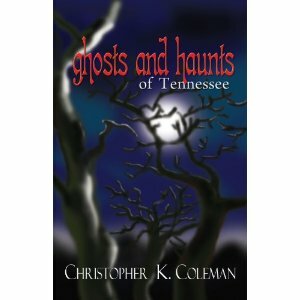 For more of Tennessee’s ghosts and haunts, witches and monsters and things that go bump in the night, see Strange Tales of the Dark and Bloody Ground and Ghosts and Haunts of Tennessee; the two combined are essential reading for any interested in paranormal Dixie and Southern spirits. 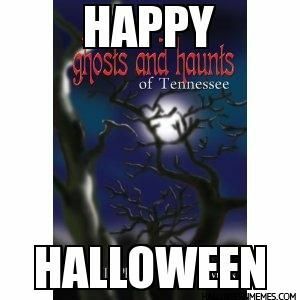 Happy Halloween from THE GHOSTS & HAUNTS OF TENNESSEE! For this Halloween tale, neighboring Kentucky gets the nod. It involves an incident that happened many years back, during the 1930’s to be exact, yet it remains a much talked about and bizarre mystery to this day. It happened in the Pennyrile district of Kentucky, where many strange things have been known to happen. 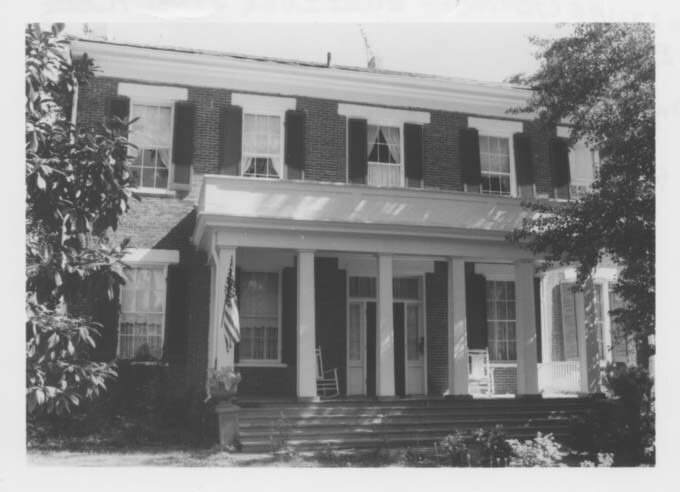 To this day the Ragland house is believed to be haunted. One bright sunny morning, the Raglands were sitting down to breakfast in their farmhouse, and looking forward to their morning repast. Led by the patriarch of the family, they had said the blessing over the food and were just about to dig in, when suddenly they heard a commotion at the front of the house. With nary a warning the front door flew open, startling one and all. For a second he was too startled to move, but before the father could rise from his chair to go see who it may be who had barged into their home, he heard heavy footsteps moving in measured cadence down the long hallway from the front door. Soon there came into view a ghastly procession came marching down the long hallway towards the kitchen in the rear of the house. As it came close, the Raglands could see what looked like a group of pallbearers all dressed in black and upon their shoulders they bore a small coffin. But the men bearing the black box were unfamiliar to their eyes, in a community where everyone knew everyone. Moreover, no one had died in the family, nor knew they of any neighbor’s death. But that was not the oddest thing about this weird intrusion into their home. Atop the coffin lay a lamb, the symbol of a slaughtered innocent. Atop the coffin lay a lamb. The lamb was white as snow, but smeared with blood, for it was headless and blood was streaming from the ghastly wound. All the time as they marched toward the family, the apparitions in black said nary a word. Without turning their pallid faces to look at the Raglands, or say a word of explanation, they marched past the family and out the back door. Like dreamers suddenly awakened, the Raglands jumped up from the kitchen table to see where the pallbearers had gone. Nothing was visible in the back yard. The ghastly ghostly pallbearers had vanished. In due course, the local constabulary were called and they canvassed the house and grounds for clues to who the strangers may have been. Neither the sheriff nor his deputies could find any trace of footprints front or back. Apparitions or ghosts don’t always take human form. There are accounts of black dogs—hounds from hell they call them—that appear out of nothing to bedevil folks. The raven, a carrion beast, is universally thought a harbinger of death; for not only does it feast on the flesh of the dead, it has even been known to appear before they die—as if it had foreknowledge of their death. 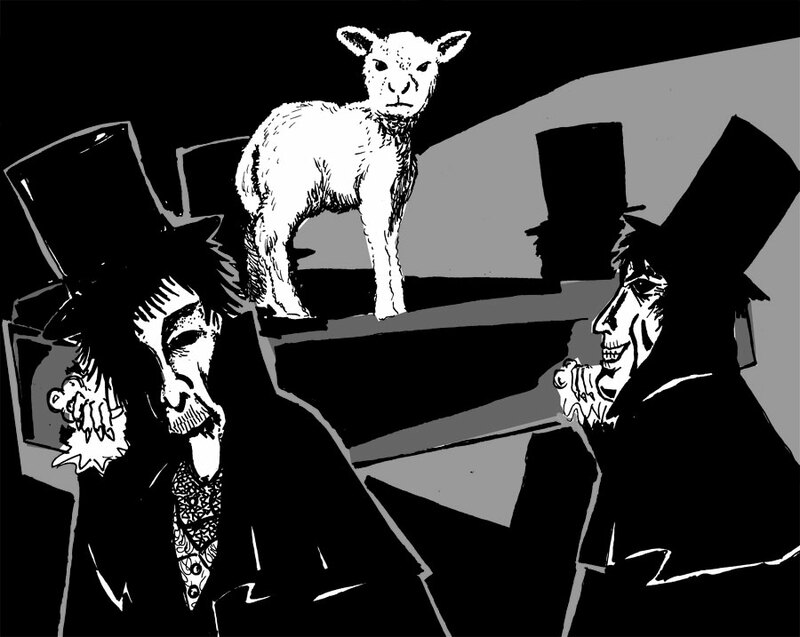 There are also rare accounts of apparitions appearing as a lamb, generally white. It is thought the white lamb symbolizes the soul of an innocent—a young child—who has died prematurely or violently. That this lamb’s head was missing was even more curious—and most sinister. Was this apparition trying to send a message from the grave? In Happy Hollow and surrounding communities they still talk of that day long ago as if it were last week. Moreover, the house where it happened has not been occupied for many years and in the area it has a reputation for being haunted. It is a reputation not totally unjustified. If you like this and other such strangeness, then you will find a fuller account in Strange Tales of the Dark and Bloody Ground.